Post messages in traditional style. This aluminum-faced board is finished in black, burgundy, or gray. Choose hinged, shatter-resistant acrylic doors or two sliding tempered glass doors, both with locks. 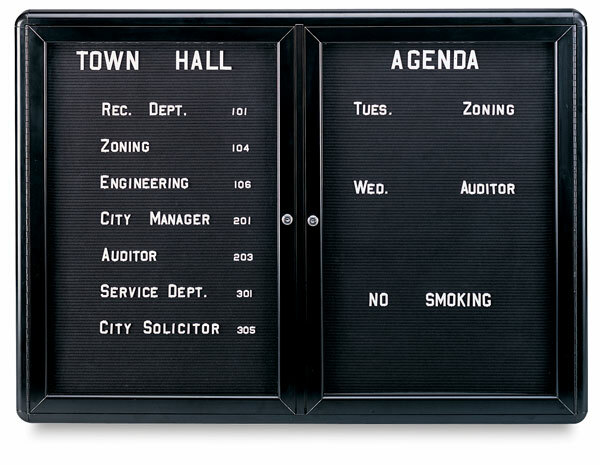 The changeable letter panel features precision grooves for easy letter insertion. Message centers include ¾" Gothic letters, numbers, and characters.